Ever walk into a store, see an item of clothing and thought to yourself, “I could make that!”? With the rise of DIY tutorials online, putting a unique, handmade spin on your favourite apparel has never been easier. Start by going through your wardrobe and setting aside the items you never wear anymore, either because it’s out of trend or don’t fit quite right. These pieces are the perfect starting point for DIY fashion. Ideas such as adding lace, studs or cutouts are simple to execute and can completely revamp an old piece of clothing, turning it into something covetable. Turn old jeans into a pair of perfectly distressed denim. An old pair of jeans, for example, can be given the rocker chic treatment by adding a distressed look. Best for light to medium washed jeans, it helps to have a visual of how distressed you want the final product to be. Start by searching for an image of a pair of worn-in jeans, and use it as a point of reference for the rest of the project. Create a distressed look by rubbing the denim with materials you can find around the house such as sandpaper, pumice stone, steel wool or a small grater. For a more worn-in look, use an X-Acto knife or seam ripper to loosen the white threads in the denim after the area is distressed. Add a fancy twist to cut-offs with lace trim. Another DIY idea for jeans that fit well but are out of style, such as flares, is to turn them into shorts. Add a boho twist to cut-off shorts by sewing lace or broderie anglaise trimming to the hem. 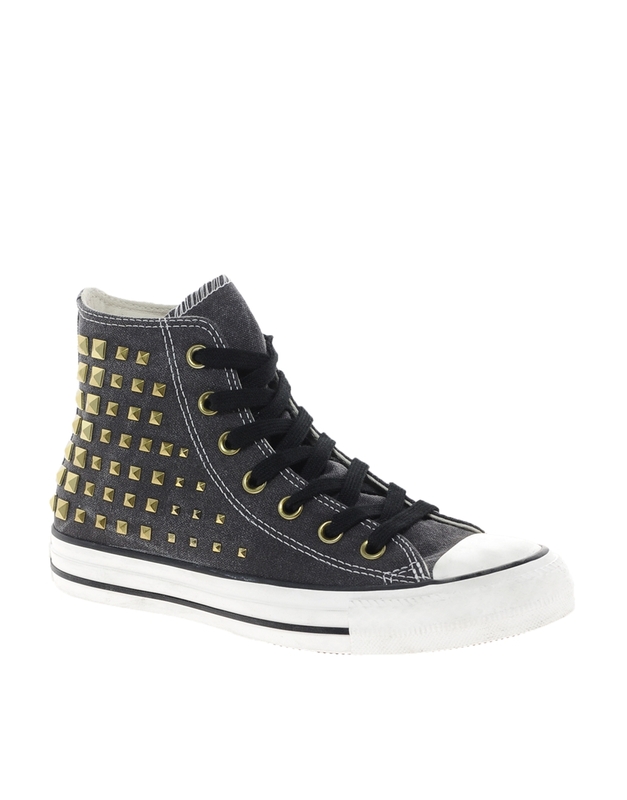 For an edgier look, keep the hem unfinished and stud the pockets. Studs and spikes are easy ways to personalize clothing and works for most types of fabric — all you need are a pack of studs and a tool, such as pliers, to secure the prongs. If you’re working with thin material, add another layer of fabric to the underside so the prong will have extra hold. Personalize your kicks with DIY studs. Studs also work well on blouse collars and are a great way to add some glam to an otherwise plain button-up shirt. Since fashion has been focusing on collars the past few seasons, there are trendy ideas for neckbands for all types of personal style. For a feminine 1960s look, try adding a Peter Pan collar to a basic crew neck shirt. One variation of a DIY Peter Pan collar uses a crochet doily to act as the rounded collars. Divide a lace doily in half and align them to fit the neckline. Fold the excess part of the doily over and sew along the neckline to secure the collar. Use unwanted patterned shirts to make fun detachable collars. For a button-up shirt that no longer fits, try trimming off the neckband to make a detachable collar. Cut just below where the collar is sewn on so the collar will stay intact. Trim off any excess fabric or threads. 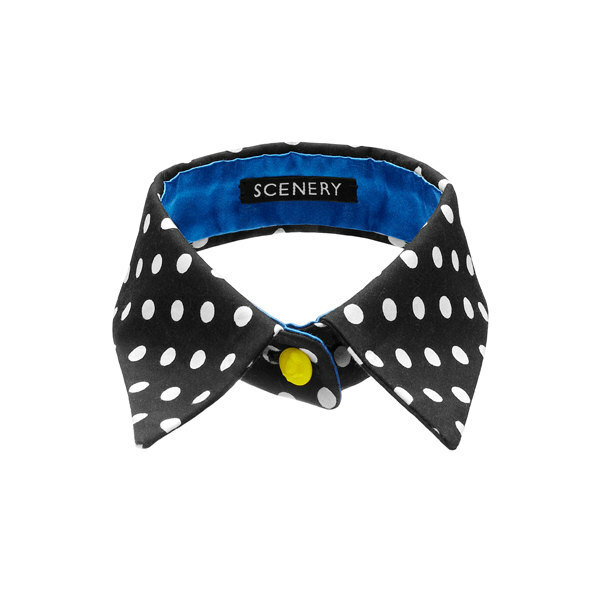 Jazz up the collar by adding studs, metal collar tips, or even just a decorative brooch in the centre over the button. Now you have a detachable collar to wear over plain tees, sweaters or collarless blouses. These are just a few simple ideas to get started. Once you’ve got some DIY fashion experience under your belt, you can continue on to more complicated projects such as screen printing, knitting or embroidering. The possibilities are endless in transforming just about any item in your closet — even changing the buttons on a coat can give it a new lease on life. So with a fresh year before us, make it one of your resolutions to complete a few DIY challenges and turn the clothes you avoid, into items you love wearing time after time. With the end of daylight saving time everyone’s gearing up for the change in seasons. Our closets may be packed with cozy sweaters and down jackets, but winter preparation isn’t complete without cold weather shoes and accessories. Here are some ideas on incorporating accessory trends to stay stylishly warm in wet and frosty conditions. Other than a good coat, shoes are one of the main components of dress that can determine whether you’ll be dry and toasty for the day, or drenched and freezing. Warm boots are an essential. Cute rainboots are a great pick for rainy fall days, but when the temperature drops, you’ll want something both stylish and functional. When shopping for a winter boot, you’ll want to look for enough insulation to keep your toes warm, so check the lining and insole material. Shearling wool makes for a warm and comfortable option as does thermal material such as Thinsulate. Mid-height snow boots, such as these ones from Sorel, make for a more casual look. 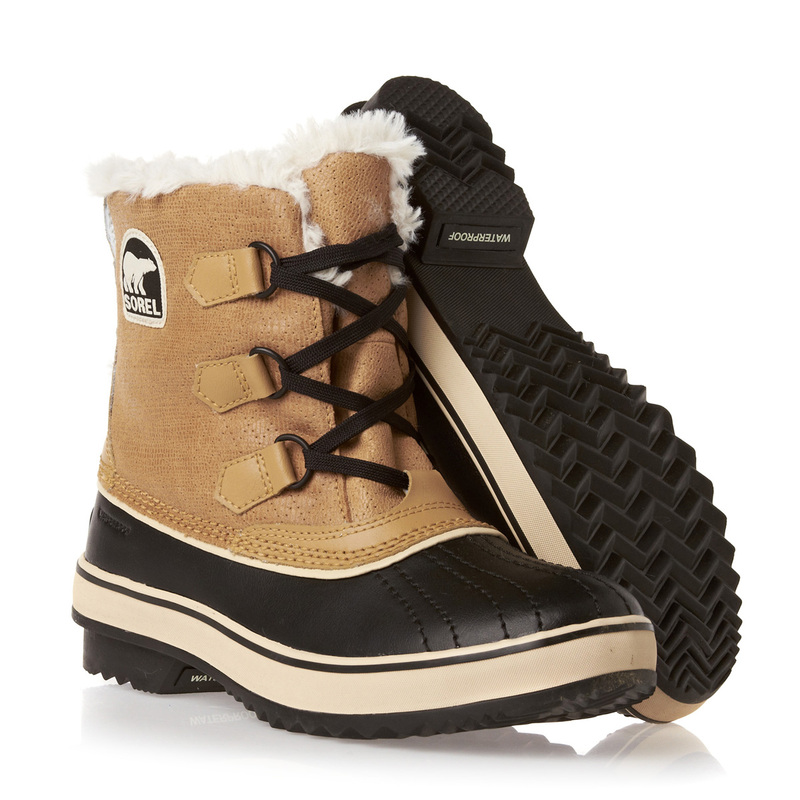 In addition to lining material, ensure your winter boots are waterproof and have enough traction. Wet leaves and icy sidewalks can easily lead to slips, so if you feel your favourite winter boots are doing more sliding than strolling, take them into a shoe repair shop to replace the outsole. Since you want to keep in heat, opt for slim fit bottoms to tuck into your winter boots. Pairing leggings, skinny jeans or tights with your boots will create a less bulky look. For a trendy option, try combat boots. 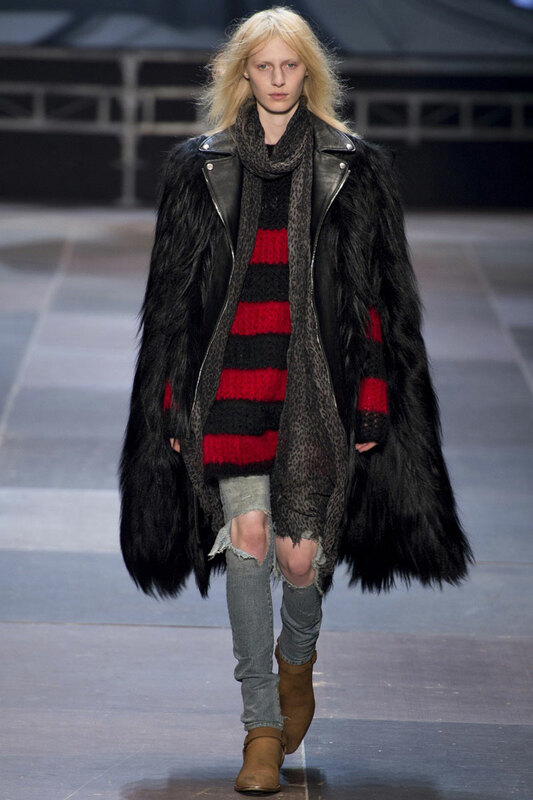 Punk and grunge are huge for this season. Rock some combat boots with tartan jeans and a leather jacket for a punk style. Or portray a grungier sensibility by wearing combat boots with an oversized cardigan, babydoll dress and black tights. For scarves, circular versions are still a popular option, whether as an infinity scarf or a snood. Snoods are tubular neckwear that can be either worn as a scarf, or pulled over the head and lower face like a hood. Whereas infinity scarves are usually wrapped around the neck several times snoods are a simpler, yet just as stylish, alternative. Scarves are a great way to add a pop of colour to an otherwise neutral ensemble, so go for chunky knit scarf or snood in a bold hue this winter. If you want to sport one of this season’s trends try wearing a plaid scarf. Plaids, checks, tartans and houndstooth are hot patterns for fall and winter, and accessories are the perfect area to try out a trend. Don’t be afraid to mix and match patterns in your outfit — the key is to find patterned items with a similar colour palette. 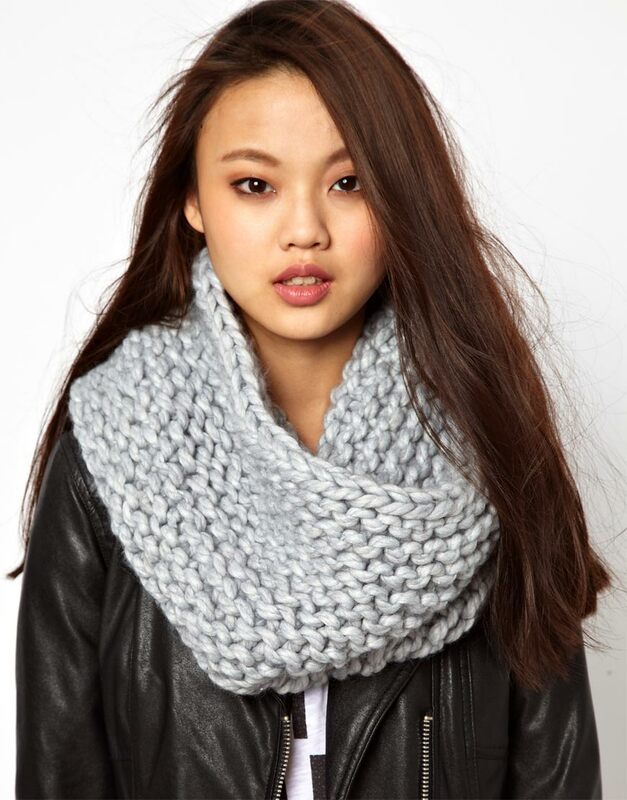 Change up your scarf routine with a chunky snood. Just like a colourful scarf can provide some much needed brightness to dreary grey days, the same can be said for a fun winter hat. One easy-to-wear trend is a slouchy beanie. Also known as a tuque, look for beanies that are close-fitting around the head and loose on top for a slouchy style. Flattering for most face shapes, tuques are available in a variety of material, colours and patterns. Find one that expresses your sense of style or personality so you’ll be more likely to grab it before heading out the door. 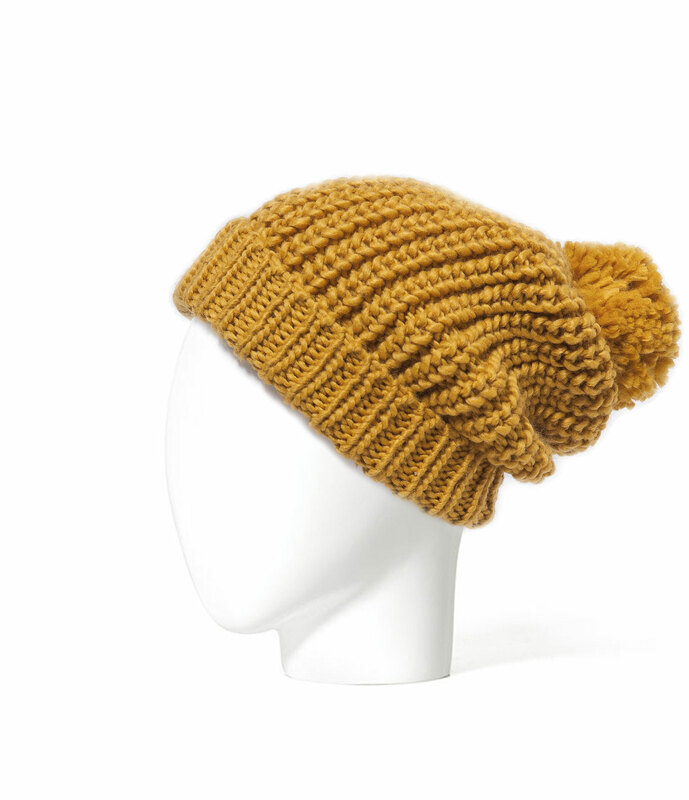 Cure the winter blahs with a fun, colourful tuque like this mustard version from Zara. Gloves are another winter accessory essential. While fitted leather gloves are a timeless and elegant choice, a more practical idea may be capacitive gloves for frequent smartphone users. The capacitive threads in the fingertips will allow you to use your touchscreen devices, so now you’ll be able to change your music selection or reply a text without exposing your hands to the elements. Dressing for the cold weather doesn’t have to mean sacrificing style. Incorporating fashionable, yet functional, winter accessories into your wardrobe will allow you to stay chic even in subzero temperatures. With the temperature rising and everyone trying to get the most out of the remaining summer days, it can be easy for fashion to fall by the wayside and throw on any old tank and shorts combo. But with some tips and tricks, it can be just as simple to be stylishly cool in hot weather. And while our weather stays pretty mild compared to cities like Bangkok or Las Vegas, it doesn’t hurt knowing how to dress to beat the heat in case of spontaneous trips to hot and humid locales. When it comes to hot weather, it’s always a good idea to skip the skinny jeans and go for flowy, loose-fitting garments. It’ll help circulate air around your body and keep fabric away from your skin, which is also what makes textured fabrics so appealing. Clothes made out of textured material such as linen, seersucker and madras are favourites for summer because they allow the skin to breathe rather than suffocate under tight, unbreathable fabrics like polyester. Especially in summer, try to wear clothes made out of natural fibres rather than synthetic. Cotton is always a good choice for casual looks. If you need a dressier outfit, go for silk. Items with sheer panels and lace will also allow any breeze to pass through. Keep cool with one of summer’s hottest trends, the maxi skirt. As for actual pieces, sundresses were made for summertime. Casual and feminine, it’s an easy outfit that doesn’t require much coordination — just slip on a pair of sandals. Maxi dresses and skirts are popular options for the season too. For a more sophisticated yet comfortable ensemble, try pairing a boxy shirt with pale linen pants. It’ll take you from an elegant brunch to a nighttime stroll along the beach. For a more eclectic look, try colourful kaftans and tunics made out of cotton or linen. Avoid unnecessary layering since that’s just additional fabric that will add to the heat. Also check your skirts and dresses for lining material. Linings made with satin or polyester will trap in heat. 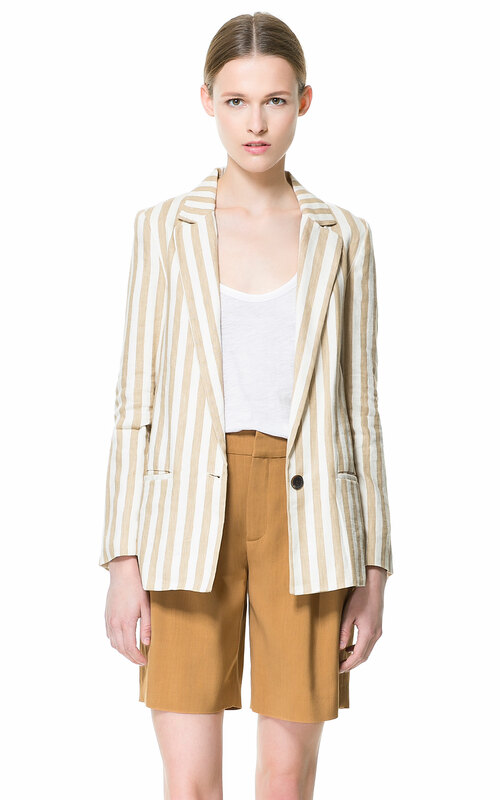 Whether at an air conditioned office or a more formal event, look chic with a linen blazer. For colours, it’s probably common knowledge at this point that pale and pastel colours are better in reflecting sunlight. So for those hot summer days, try to stay away from dark colours as it absorbs light and heat. A favourite I always make sure to have multiple versions of is a casual white dress. Not only does it scream summer, it’ll also contrast nicely with your tan and go along well with any bright accessories. It might also be a good idea to avoid colours that will make sweat patches more apparent, such as grey. Aside from sunglasses, which are a necessity for this time of year, I always like to keep accessories to a minimum in hot weather since it’s just one more item that will be sticking to my skin. One way to show off your sense of style without bulky accessories is with nail colour. Fun vibrant colours are perfect for summer festivities. 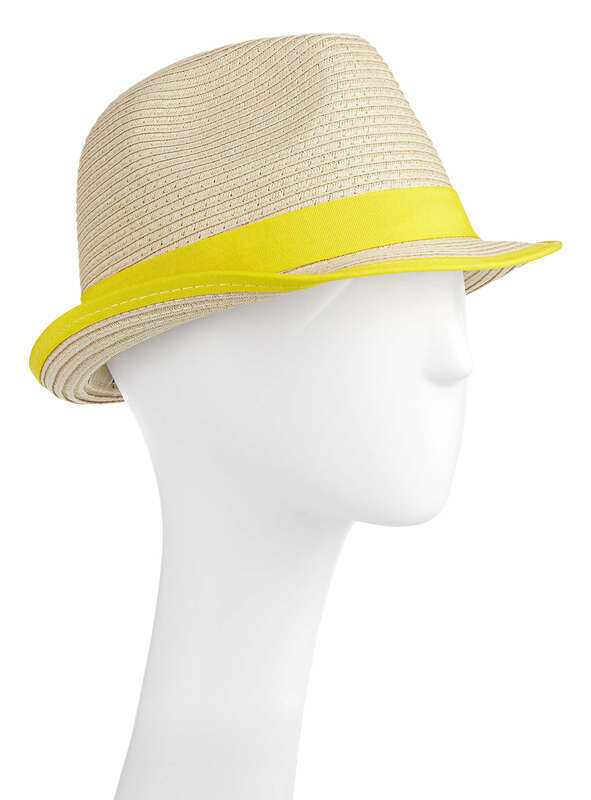 Another stylish but practical way to incorporate accessories is with straw hats. The material will let heat escape from your head while keeping your face in the shade. Try adding a floppy style hat to your look for a chic touch. Stay in the shade wherever you go with a straw hat. For makeup, avoid heavy layers of coverage for the summer and opt for a natural, dewy look instead. Sometimes a combination of tinted moisturizer, little cream blush, mascara and lip balm is all you need. Or skip the blush and go for a bronzer to give your skin a healthy glow. Whatever you put on your skin, make sure to slather on sunscreen first! With the warm weather and increased opportunities for casual get-togethers with friends, summer is the perfect time to wear over-the-top accessories. Perhaps it’s because the season just makes everyone more cheerful, or that we wear less in the heat and need another way to express our sense of style. Either way, bold jewelry, shoes, or bags are always a great and easy complement to any tank and shorts combo or sundress. For a trendy way to incorporate accessories, try one of the biggest fashion trends of this season: black and white. Whether it’s in the form of a classic black and white checkered bag seen at Louis Vuitton or a mod pair of white-framed sunglasses at Moschino, opposites attract in this summer accessories trend. Because the colours are neutrals, black and white accessories will go well with all shades of clothing. Clear, lucite details have also been making a strong impact in jewelry, bags and even the platform and heel of shoes. Gucci and Chanel both created translucent purses for the season, while see-through details such as heel straps and side panels were spotted at many designers such as Michael Kors and Givenchy. For those who want to carry a translucent bag but prefer to keep some of their items concealed, store them in a small separate pouch before popping them into the see-through purse. It’ll also provide a tidier look. Rock the lucite trend with this wedge shoe by Jeffrey Campbell. Gladiator sandals are also in for shoes. But what makes this season’s trend different from the gladiator sandals popular a few years back is the bolder, knee-high approach. Presented in a multitude of shows such as Altuzarra, Tom Ford and Alexander Wang, the dramatic look is definitely not for the fashion shy. Try pairing it with a basic black dress for a stylish night-on-the-town outfit. Be wary of awkward tan lines if you’re rocking the knee-high gladiators trend in the daytime, though! Overall for shoes, the trend is to leave the skinny stilettos in the back of the closet and opt for stacked, chunky heels. Balenciaga showed oxfords with cubed heels, Fendi studded the block heels of their shoes, and Chloe accessorized their models with an updated version of Mary Janes. 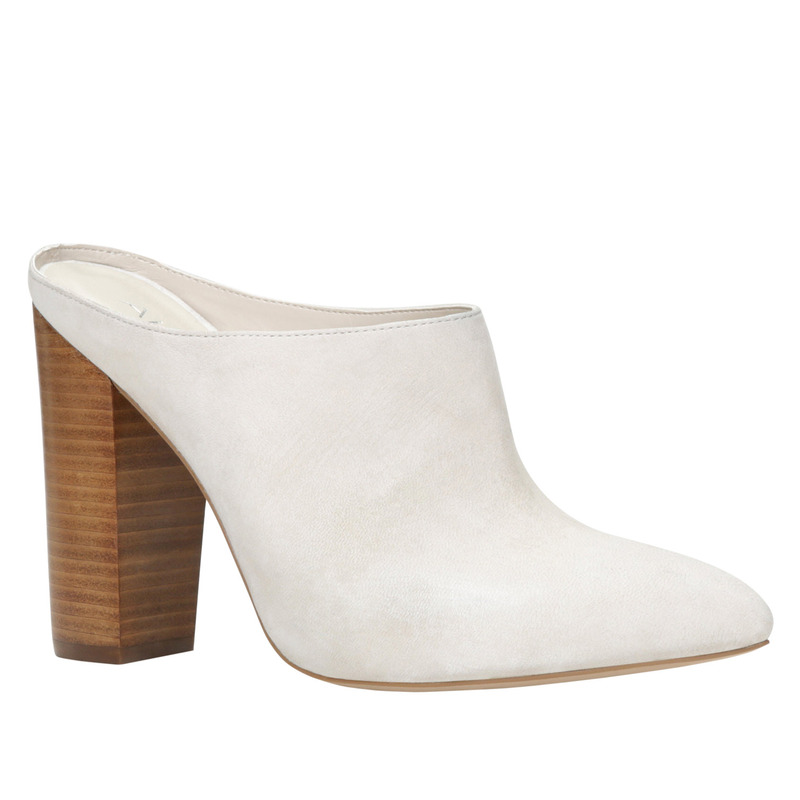 The trend is a throwback to the 70’s when blocked and platform heels were de rigueur. At least this season’s shoes won’t have you sinking your heels into the lawn at backyard barbecues. Chunky Mary Janes at Chloe’s spring/summer 2013 show. 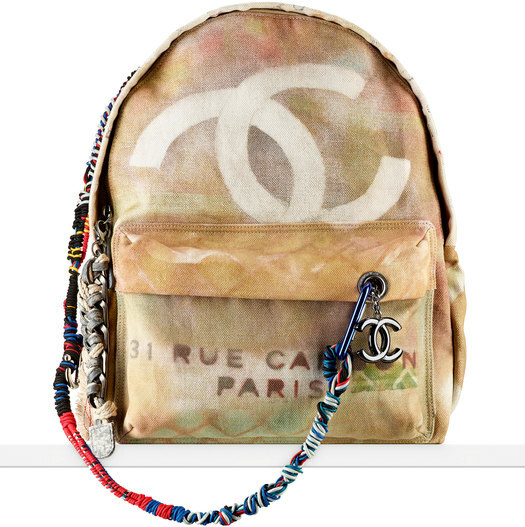 For bags, crossbody purses and small satchels were popular on the runway. 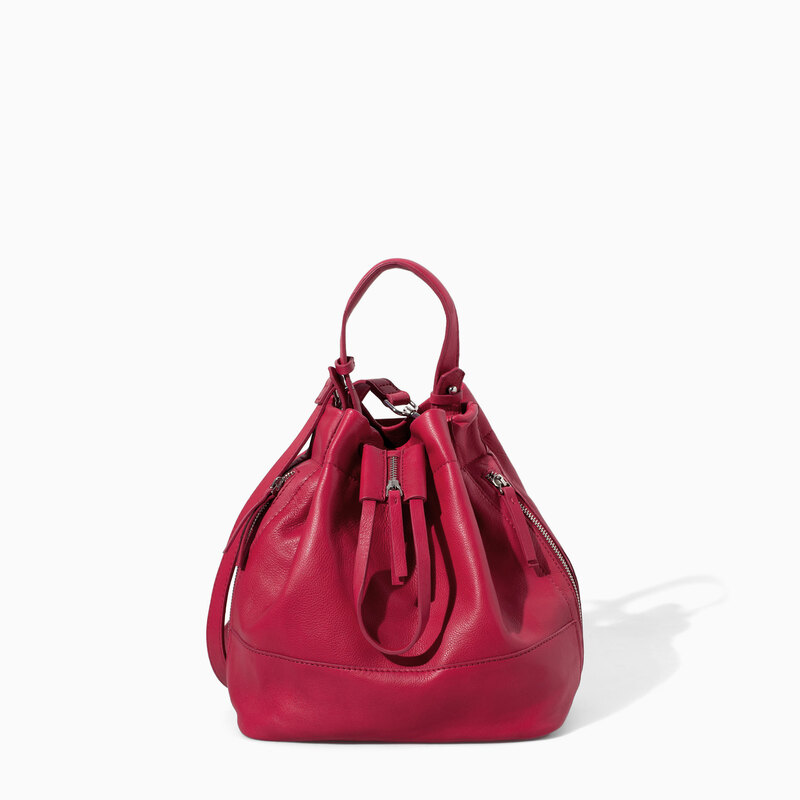 Lanvin, Stella McCartney and Diane von Furstenberg all showcased smaller but bold handbags in their collections. 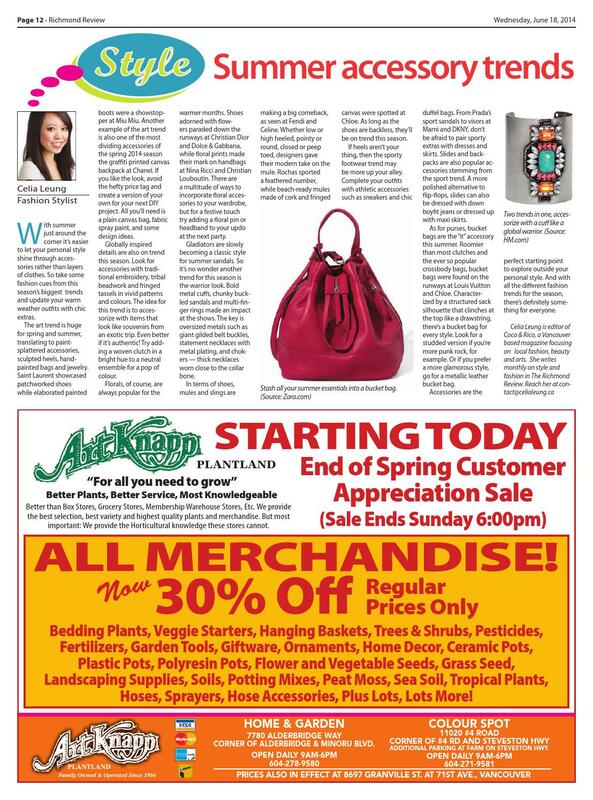 On the opposite end of the spectrum, shopper totes are also trendy. Perfect for the beach or picking up dinner ingredients at the farmers market, totes are ideal for those warm days where spontaneity takes rein. You’ll be at the ready with a tote packed with essentials such as sunscreen, swimsuit and shades. 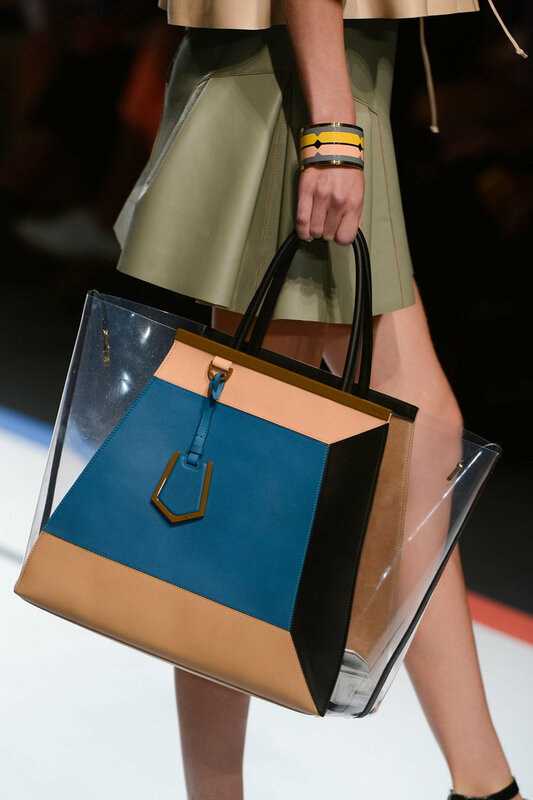 Tote at Fendi’s spring/summer 2013 show. For sunglasses, oversized ones are always popular. But this year’s trend is also for round framed retro glasses reminiscent of John Lennon’s. Although if you’re planning on investing in a pair of sunglasses, find one that will complement your face shape instead of following a seasonal trend. For round faces, go for oversized rectangular frames. More angular faces will suit round frames while aviators will flatter those with heart-shaped faces. Most frame styles will go with oval faces, but I’m partial to shades with slight cat-eyes for a little retro glam. 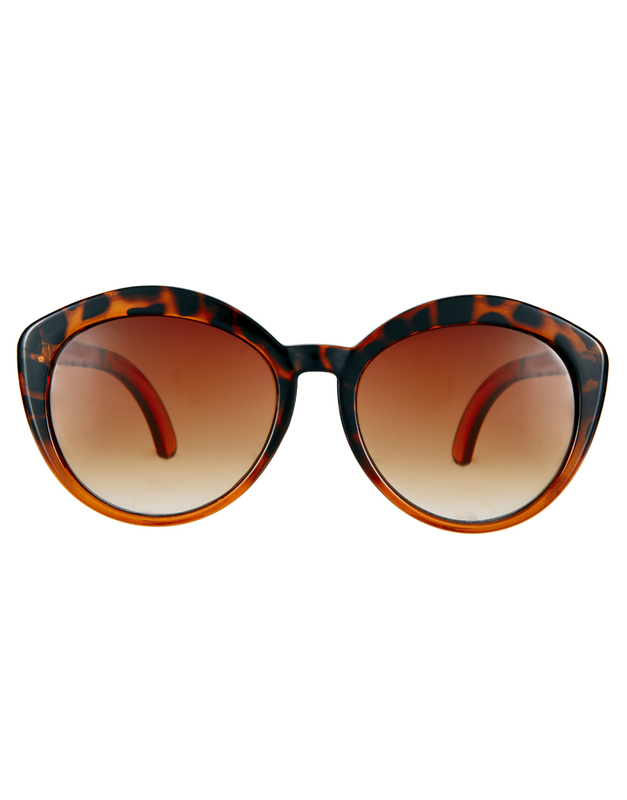 Oval faces will suit this pair of round oversized, slightly cat-eyed shades. Another easy accessory trend to incorporate is gold. Accent your day and night ensembles with gold sandals, belts or chunky link chains. 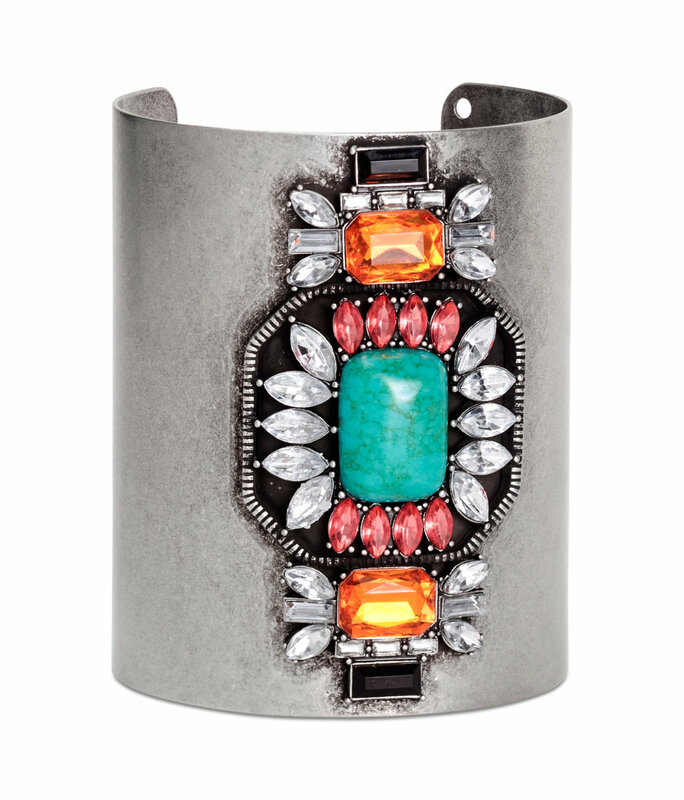 Gold cuffs always make a striking impression to an otherwise neutral look. For a more bohemian look, add some fringed elements. Try a fringed necklace for a cheeky touch on a minimal ensemble. Bright dangly earrings are also popular for summer. 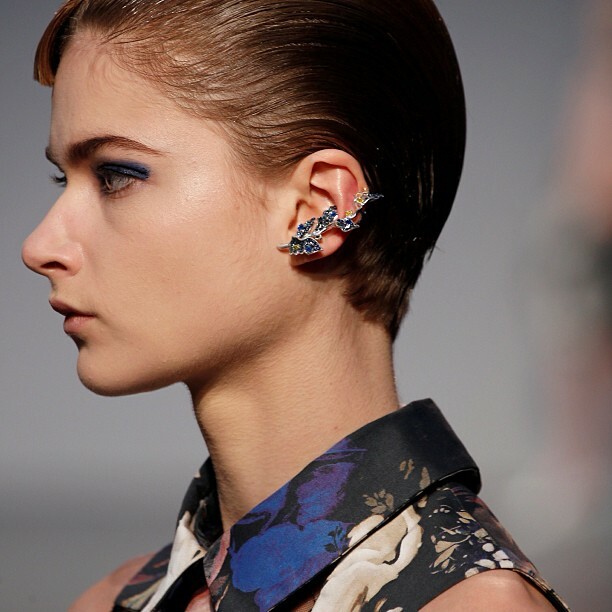 Dolce & Gabbana accessorized their models with long earrings made up of colourful beads and clusters of raffia. 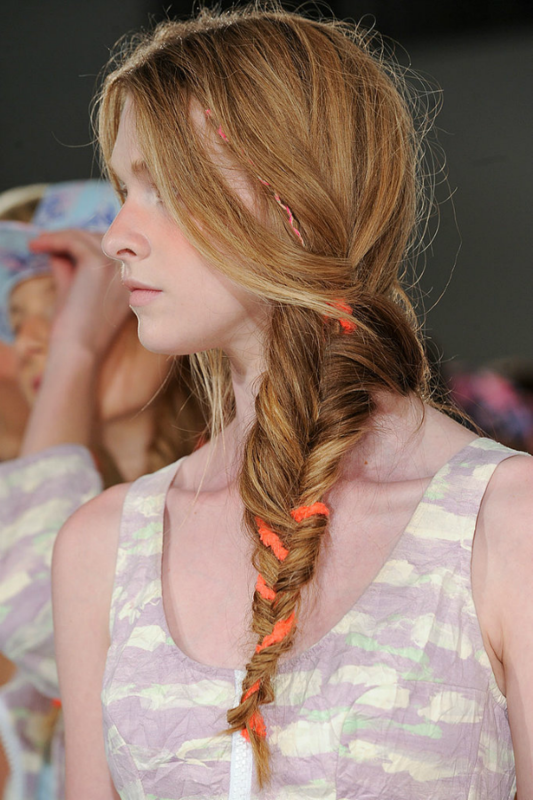 Whatever your sense of style summer’s a great time to experiment with accessories, so go wild!